Witnessed once again the biggest, most eagerly anticipated football tournament in the country when over 300 teams composed of 4,200 players compete in the 18th Alaska Football Cup last December 7 and 8 at the Alabang Country Club Fields, Muntinlupa City. No other football competition in the country comes close to the Alaska Football Cup which is played in 29 football fields under the supervision of more than 100 referees, which will find more than 2,600 goals scored in more than 700 games. Alaska promotes positive values of teamwork, cooperation and fair play through sports activities like the football cup. Likewise, Alaska leads in promoting a healthy lifestyle through proper nutrition by drinking milk regularly and by engaging in sports. 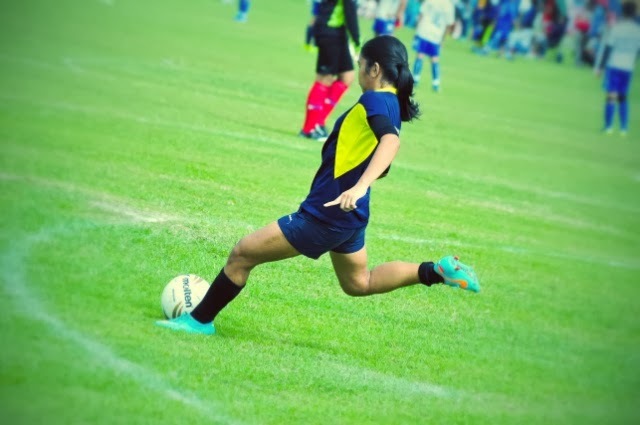 Football players who are six to 16 years old participate in the Alaska Football Cup coming from all over the Philippines including Metro Manila, Baguio, Olongapo, Angeles City, Tacloban, Naga, Bacolod, Cebu, Palawan, Legaspi, Los Baños, Iloilo and Batangas. This partnership started in 1995 when Alaska teamed up with former professional international football player Tomas Lozano to create the 1st Alaska Football Cup. Alaska has contributed to the phenomenal growth of amateur football in the country through this annual competition. Promoting the participation of the youth in football along with other sports like basketball and triathlon through the Alaska Power Camps exemplifies the company’s commitment to nation building through nutrition and sports. The Alaska Football Cup has been widely acknowledged for its outstanding contribution to youth sports and development in the country, particularly in the grassroots level.